John Evans, formerly U.S. Ambassador to Armenia, gained notoriety in 2005 by publicly dissenting from the stated policy of the Bush and previous Administrations on the 90-year-old issue of the Armenian Genocide. 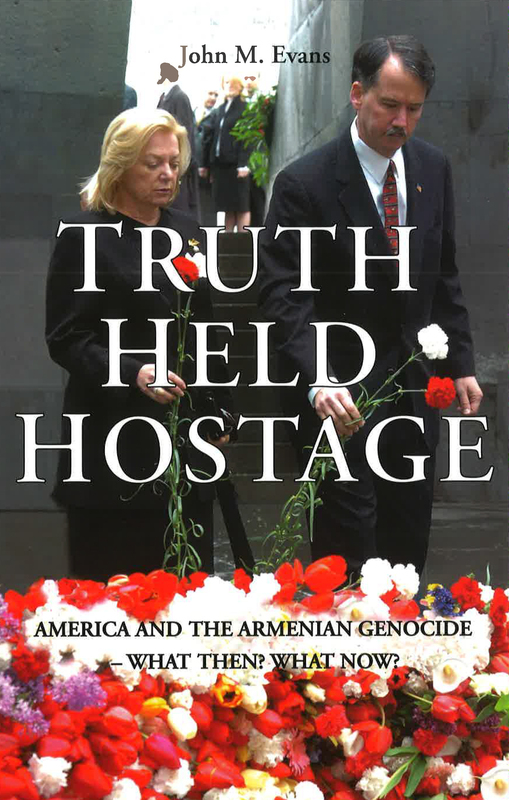 A veteran of the U.S. Foreign Service, Ambassador Evans had no Armenian ancestors or family connections, but over the course of his historical studies and diplomatic career, became convinced that a gross injustice was being perpetrated against the Armenians through the denialist policies of the Turkish Government and the U.S. Government’s tacit acceptance of them. He decided to take a measured public stand, but then paid for his "heresy” by being dismissed from his post and forced into early retirement, although not without a fight over the issue in the U.S. Congress. Over the course of his thirty-five-year career, Ambassador Evans served with distinction in diplomatic posts in Tehran, Prague, Moscow, Brussels (NATO), St. Petersburg and Washington, reaching the rank of Minister-Counselor. A native of Williamsburg, Virginia, educated at Yale and Columbia, he is an avid student of Russian history who devoted a sabbatical year to investigating the decline of the Ottoman Empire, the setting in which the tragic events of 1915 occurred. Now retired from the Foreign Service, Mr. Evans makes his home in Washington with his wife, the former Donna Chamberlain.